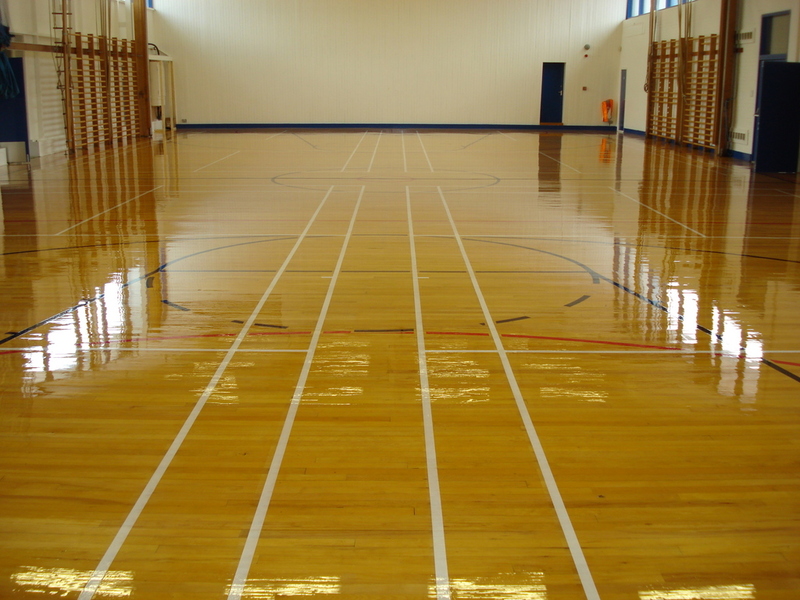 269 sqm of Maple Hardwood Sports Hall Flooring, Sanded, Line / Court Marked & Sealed by Floorcare Services. 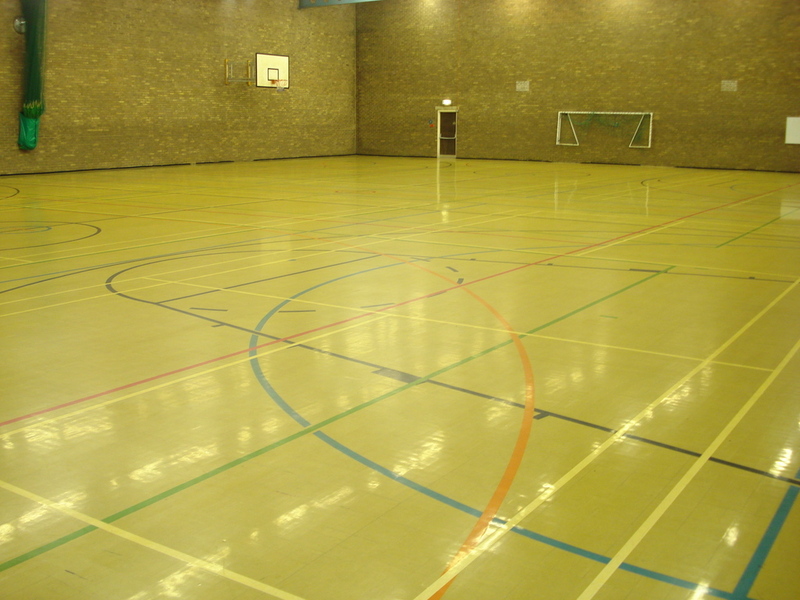 You can also view this project on Time Lapse video 61 on the Sports Hall Floor Video’s Page. 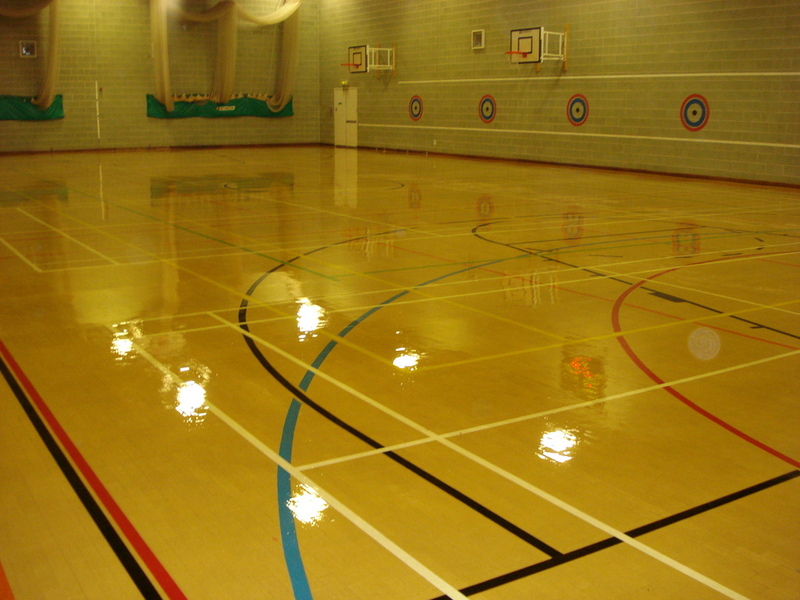 This Sports Hall Floor was sanded at Woodrow Sports Centre, Amersham, Buckinghamshire. 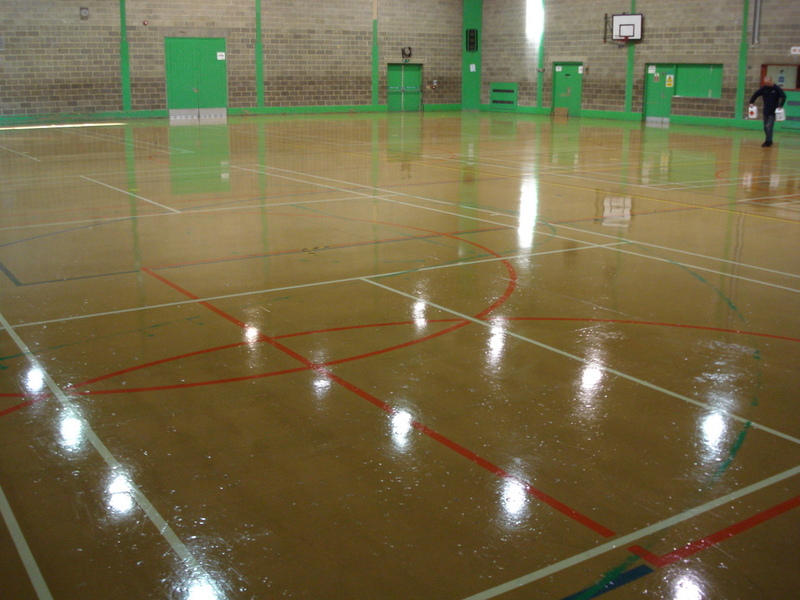 It was sanded back to bare wood and Sealed with 1 coat of Moor Floor Finishes (formally Floortech Products) – ‘ Acryseal ’ a acrylic based floor seal then followed with 2 coats of Moor Floor Finishes (formally Floortech Products) – ‘ Aquaguard ’ a two component ( 2 pack ) Water based polyurethane commercial grade floor seal conforming to EN BS 14904 Slip resistance for indoor sports play. 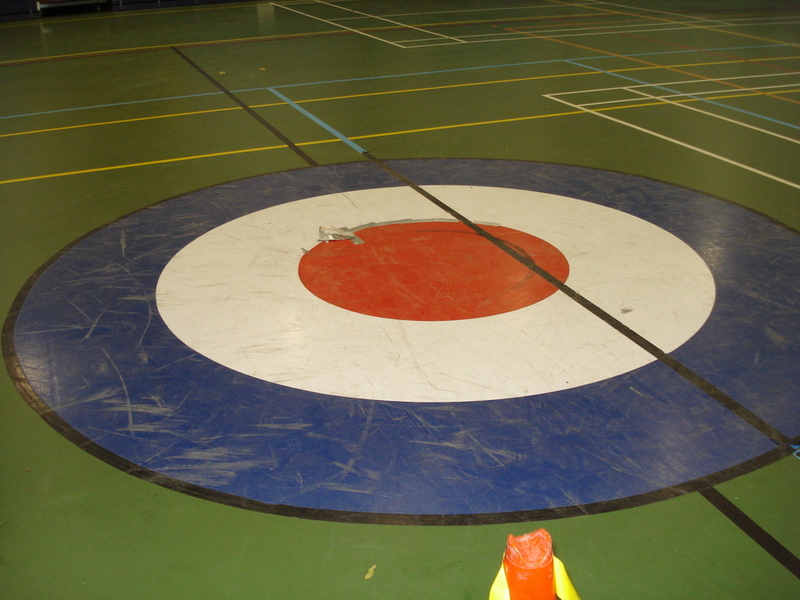 The floor was sandedremoving previous finish / seal / varnish, wear marks, scratches etc. 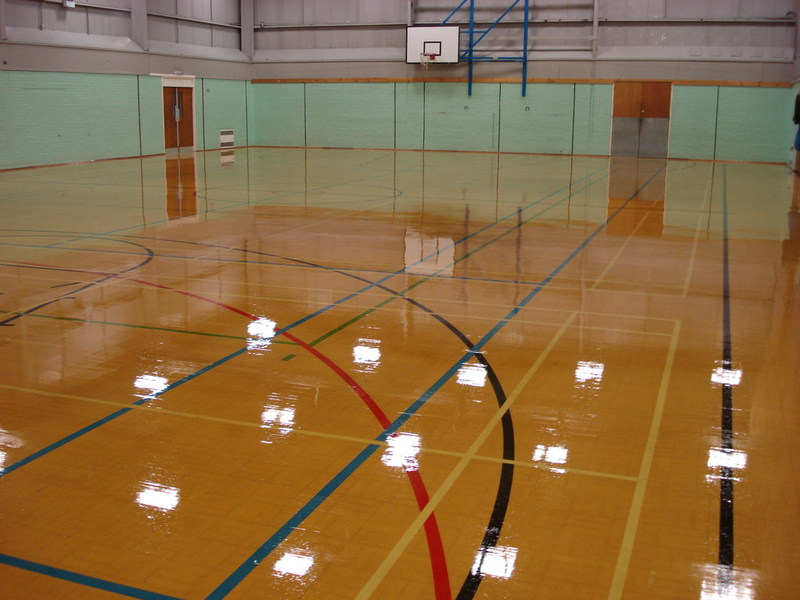 and coat 1 of ‘ Acryseal ’ applied. 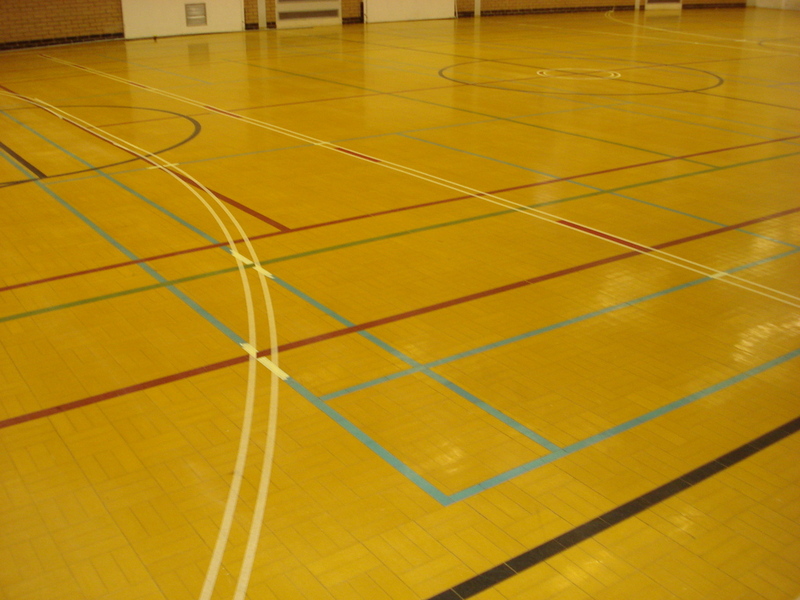 Then a regulation size Badminton court was applied using white ‘ Moor Floor Finishes ( formally Floortech Products ) – Sports line / court marking paint’, 1 x Basketball court in Black, 1 x Netball court in Red, 1 x Volleyball court in Green and 1 x 5 a side court in Blue then sealed with 2 further coats of ‘ Aquaguard ’ seal to protect the lines. 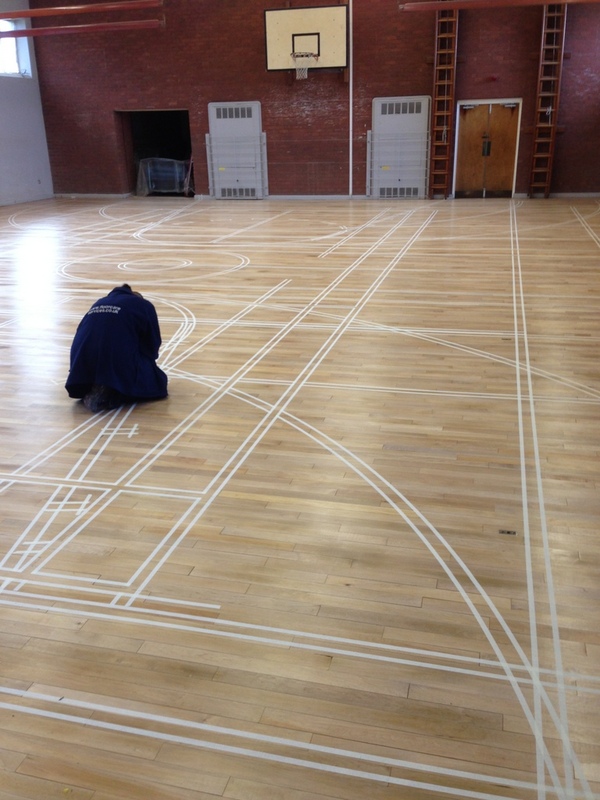 This Sports Hall Floor was Sanded, Sealed & Court marked in a total of 5 days only. 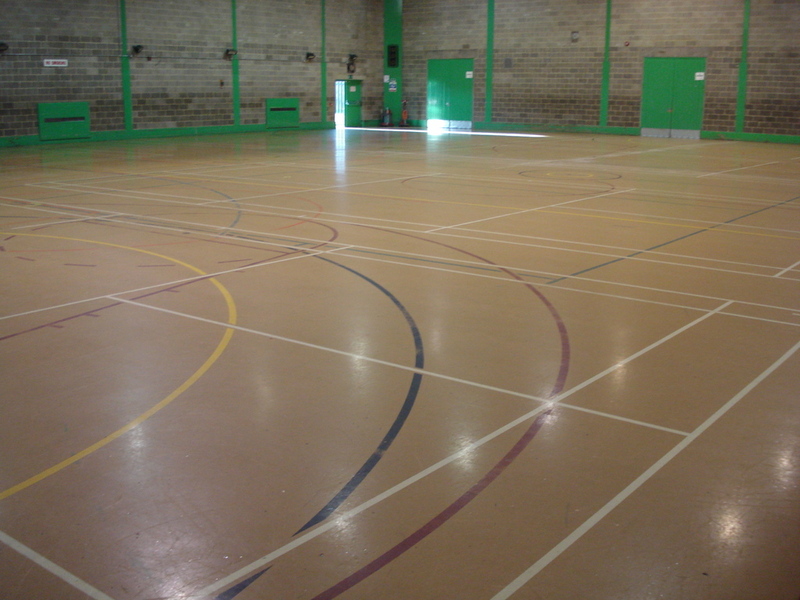 540 sqm of ( Granwood ) Composite Block Sports Hall Flooring, Chemically Stripped, Cleaned, Abraded and Re-sealed by Floorcare Services. 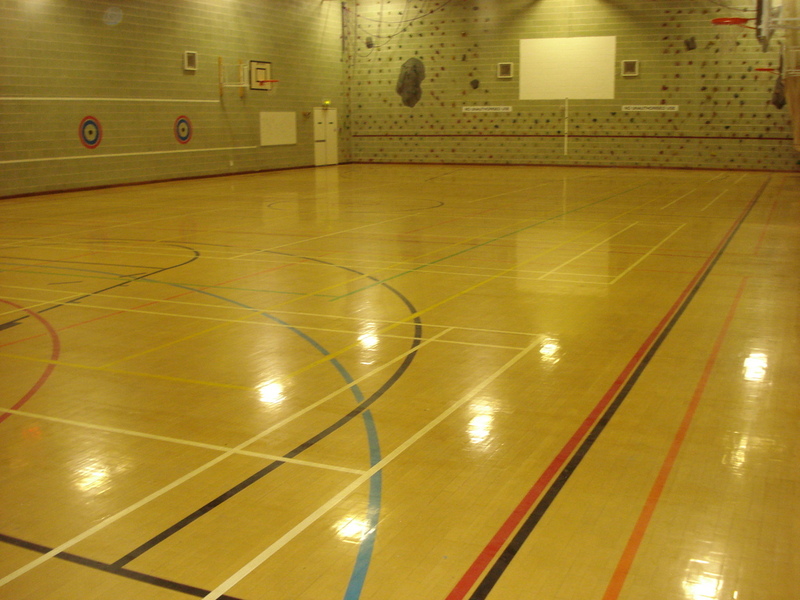 You can also view this project on Time Lapse video 53 on the Sports Hall Floor Video’s Page. 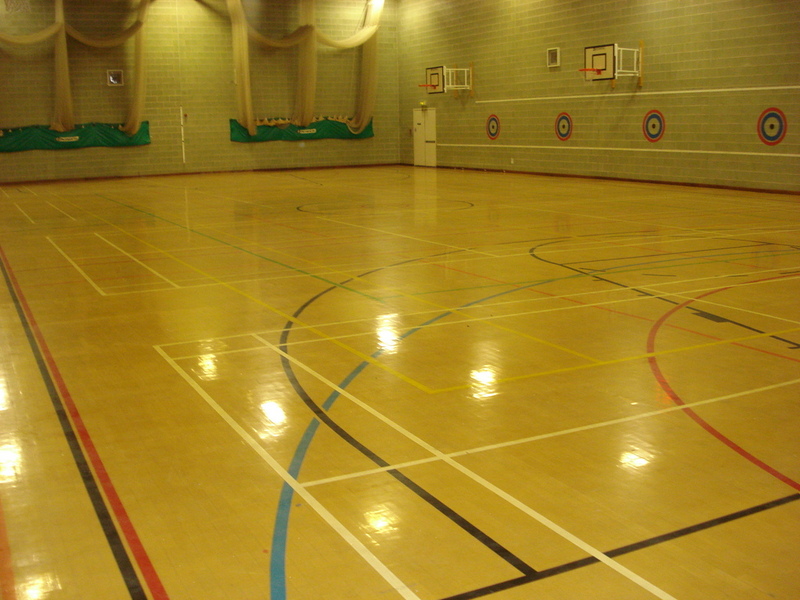 This Maple Wood Buff Colour Granwood floor was refurbished at Landau Forte School, Derby. 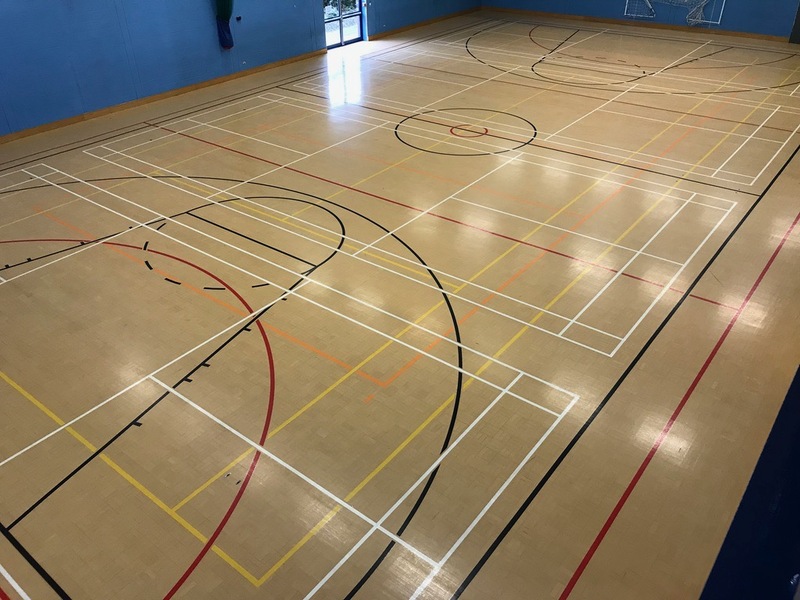 It was Cleaned and Abraded then Sealed with 2 coats of ‘Floortech Products – Sportguard’ a solvent based moisture cured polyurethane commercial grade floor seal conforming to EN BS 14904 Slip resistance for indoor sports play. 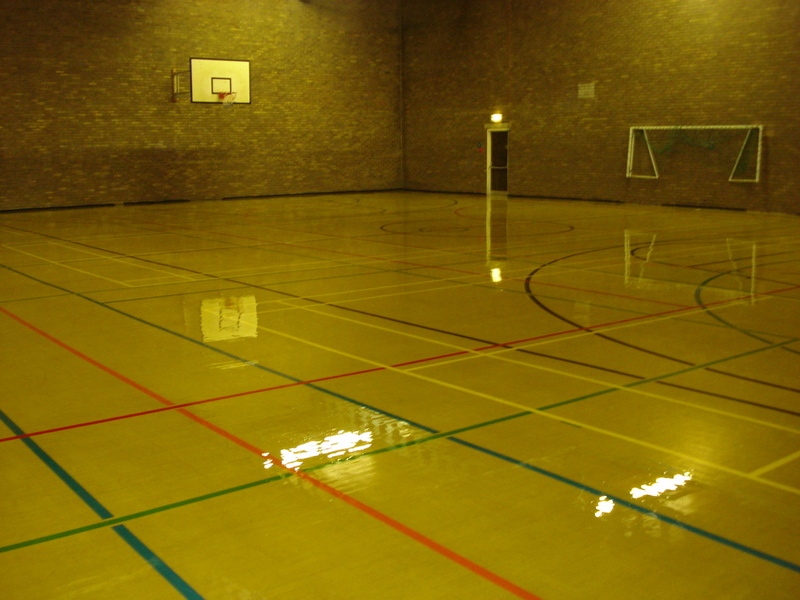 The second/final coat was applied the following day/ day 2. 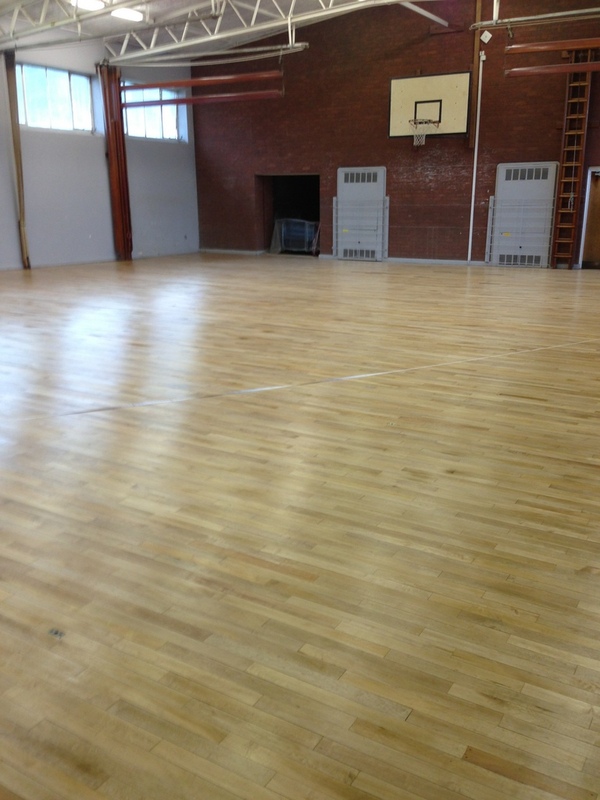 As it wasn’t sanded there was no dust, no material removed from the floor and only took 2 days to complete. 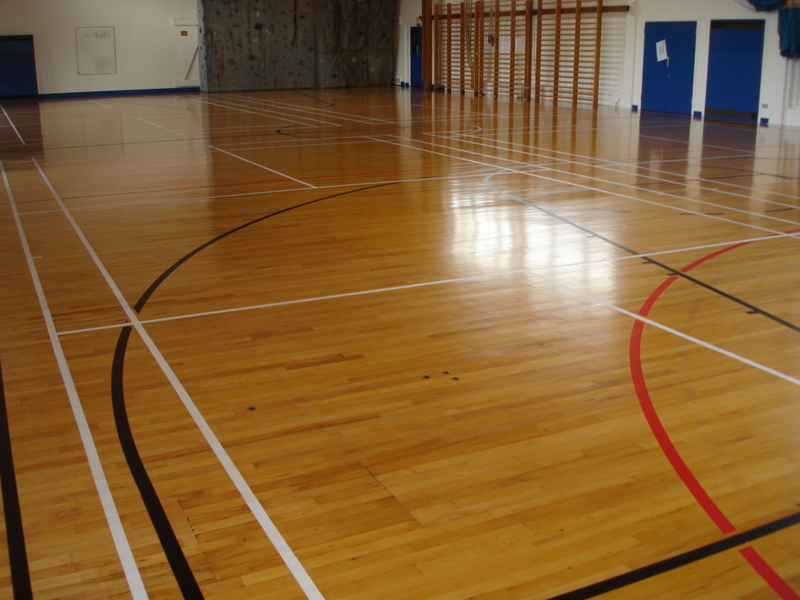 Granwood Floor Sanding, 395 sqm of Composite Block ( Granwood ) Flooring, Sanded, Line / Court Marked & Sealed by Floorcare Services. 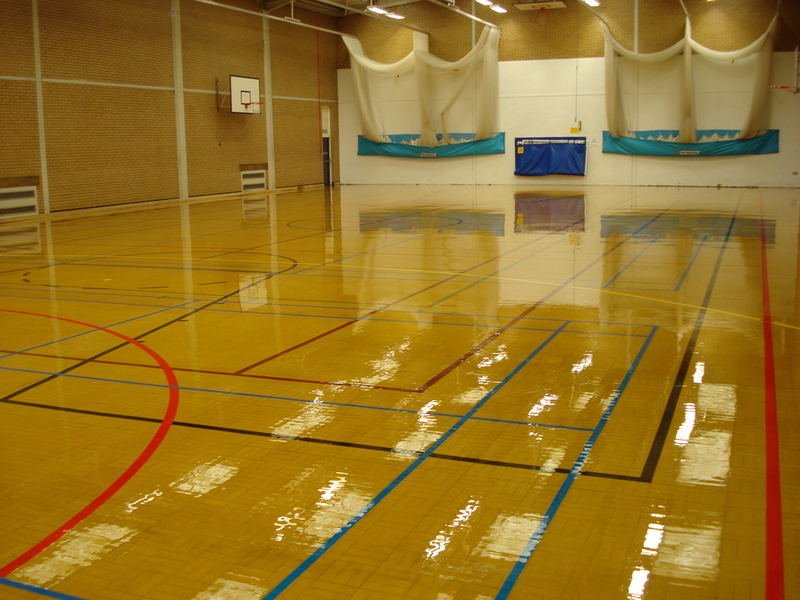 You can also view this project on Time Lapse video 49 on the Sports Hall Floor Video’s Page. 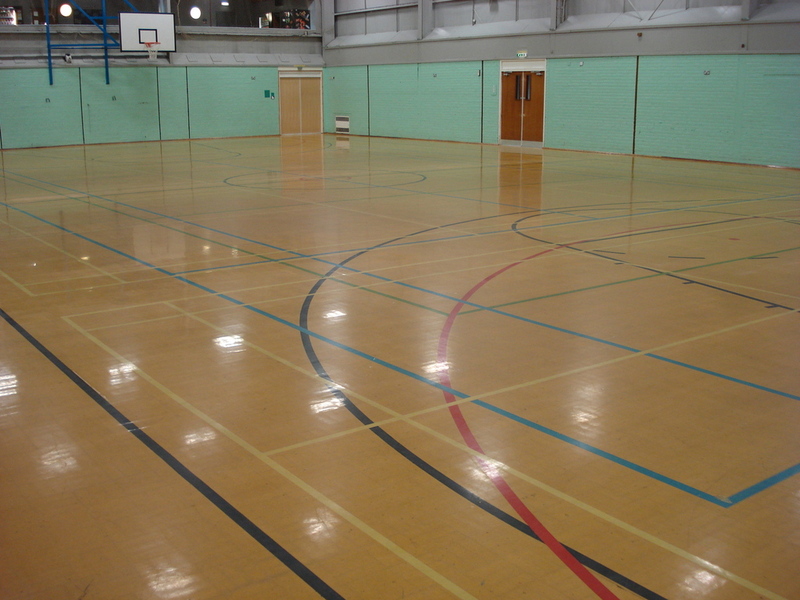 This Maple Wood buff colour, Composite Block Granwood floor was sanded at Epworth Leisure Centre, Epworth, Doncaster. 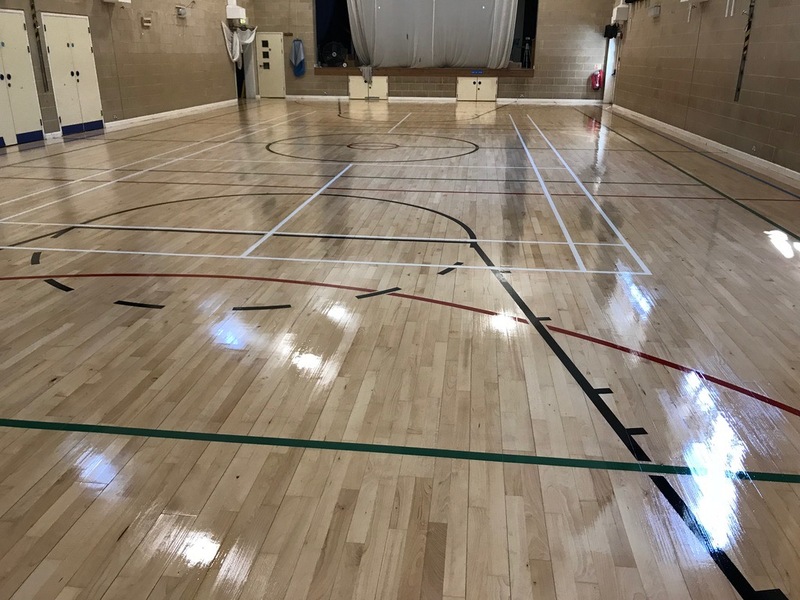 It was sanded back to bare wood and Sealed with 3 coats of ‘Floortech Products – Sportguard’ a solvent based moisture cured polyurethane commercial grade floor seal conforming to EN BS 14904 Slip resistance for indoor sports play. 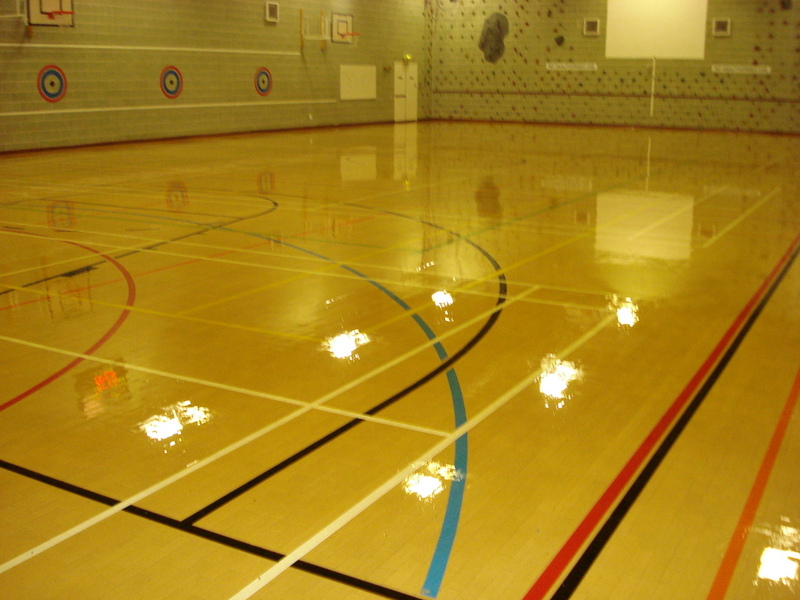 We sanded the floor removing previous finish / seal / varnish, wear marks, scratches etc. 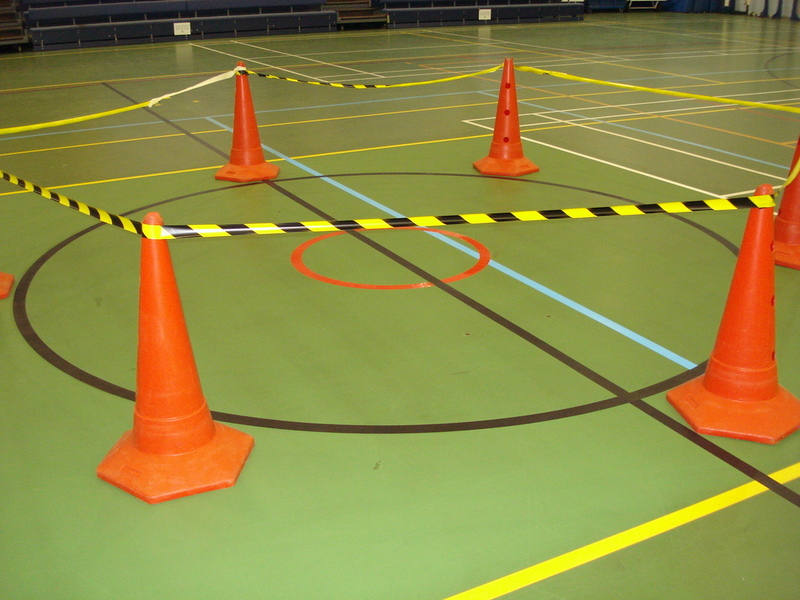 and applied coat 1 of ‘Sportguard’. 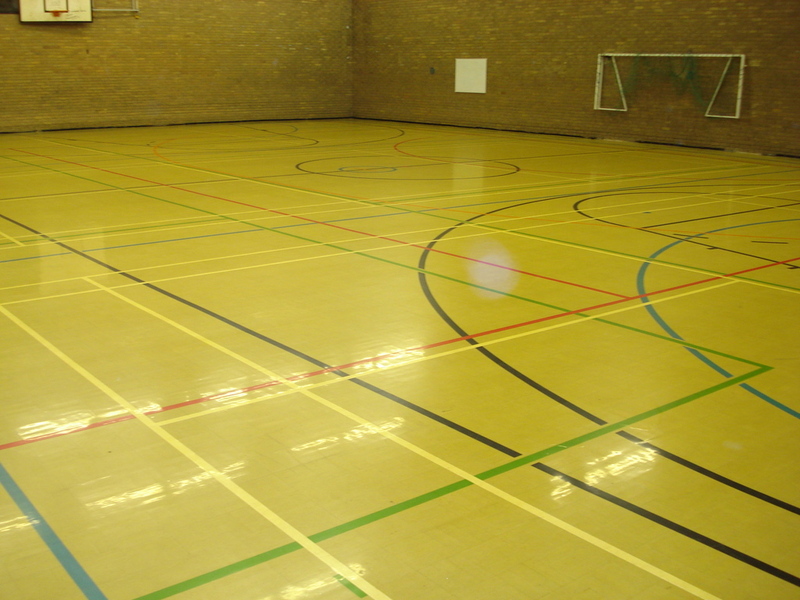 Then 3 regulation size Badminton courts were applied using white ‘Floortech Products – Sports line marking paint’, 1 Basketball court in Black, 1 Netball court in Red and 1 Volleyball court in Green and then sealed with 2 further coats of ‘Sportguard’ seal to protect the lines. 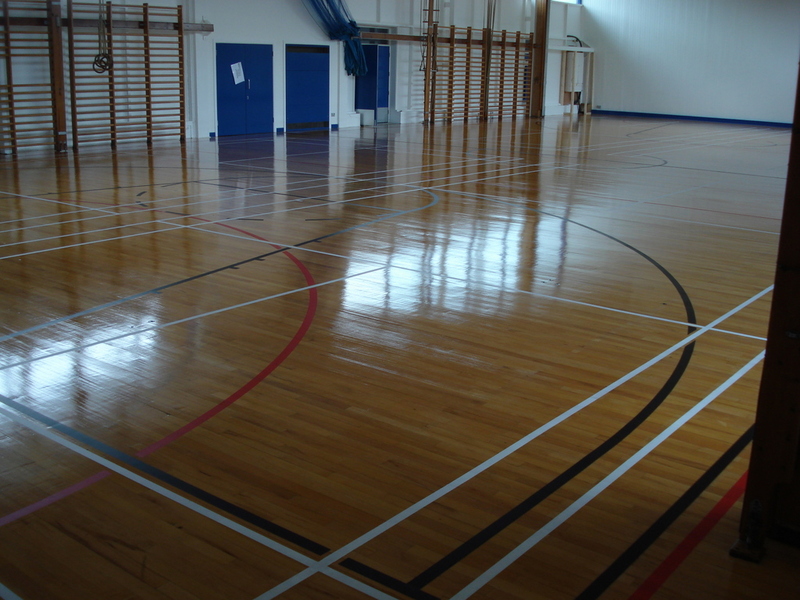 This Sports Hall Floor was Sanded, Sealed & Court marked in a total of 7 days only. 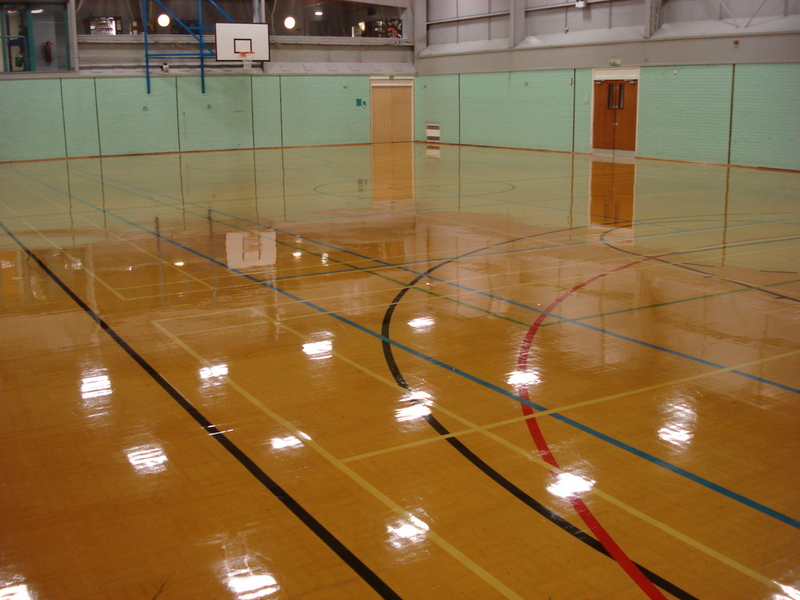 610 sqm of ( Granwood ) Composite Block Sports Hall Flooring, Chemical Stripping, Cleaning, Scrubbing, Abrading and Re-sealing by Floorcare Services. 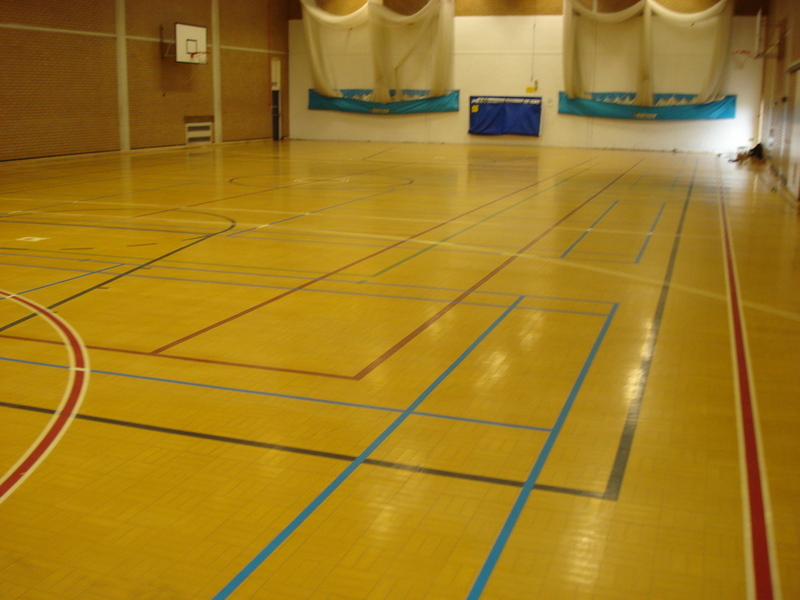 This Maple Wood Buff Colour Granwood floor was restored in Leicester, Leicestershire. 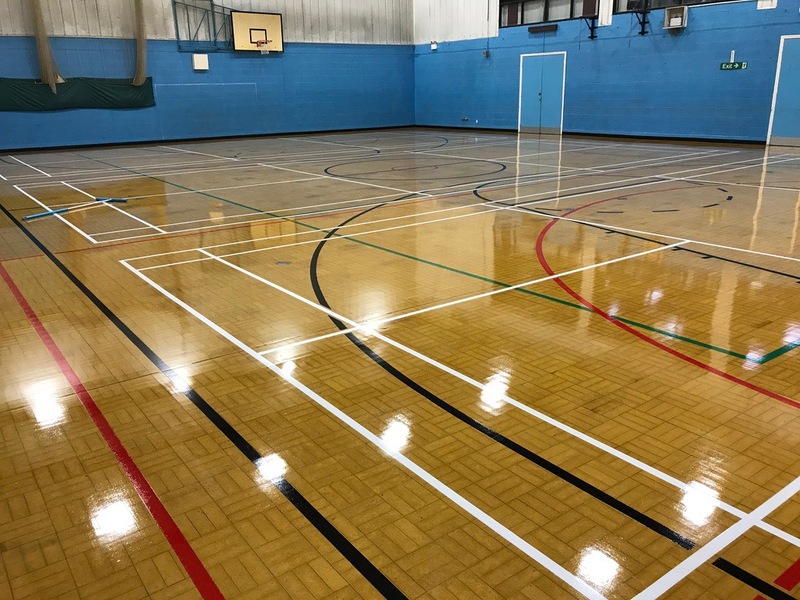 It was Cleaned / Scrubbed and Abraded, then Sealed with 2 coats of ‘Floortech Products – Sportguard’ a solvent based moisture cured polyurethane commercial grade floor seal conforming to EN BS 14904 Slip resistance for indoor sports play. 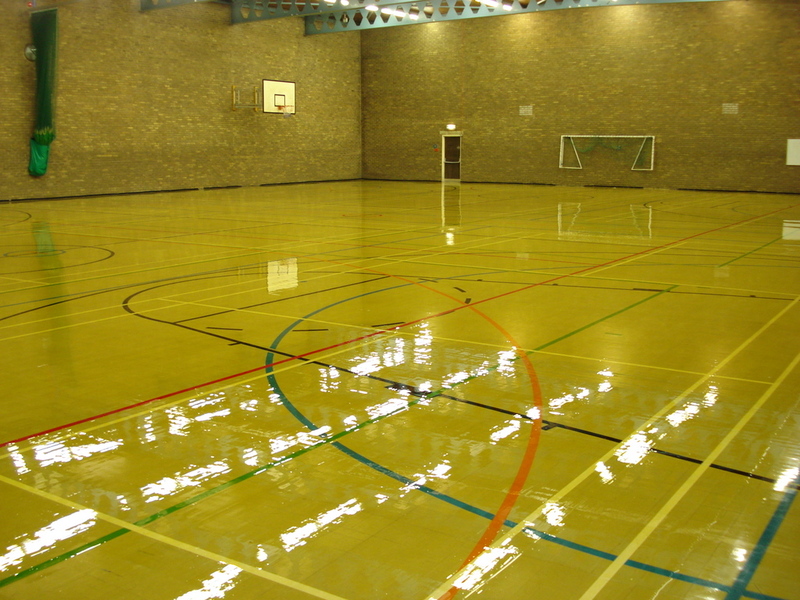 The second/final coat was applied the following day/ day 2. 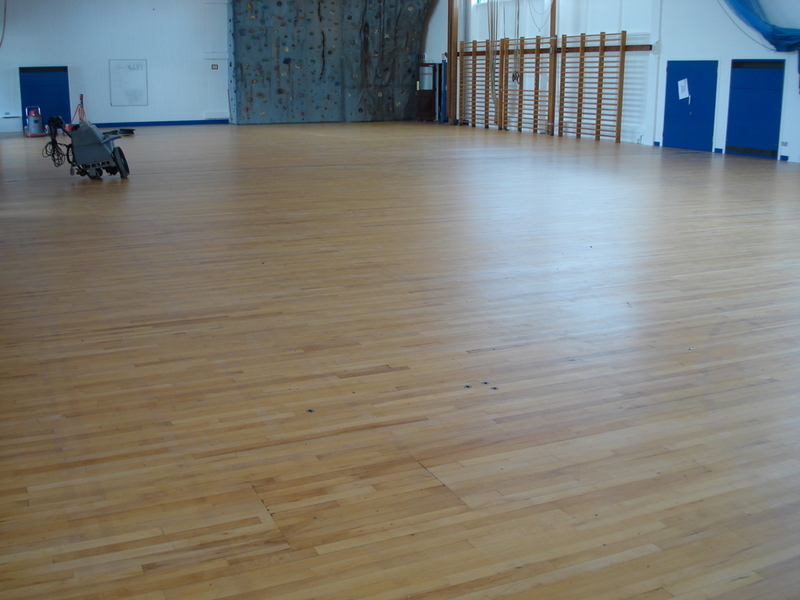 As it wasn’t sanded there was no dust, no material removed from the floor and only took 2 days to complete. 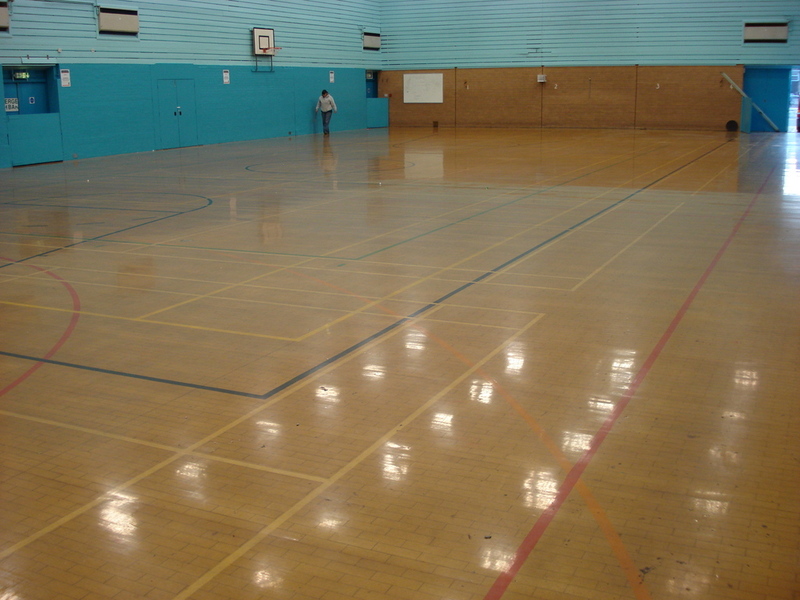 590 sqm of ( Granwood ) Composition Block Sports Hall Flooring, Chemical Stripping, Cleaning, Scrubbing, Abrading and Re-sealing by Floorcare Services. 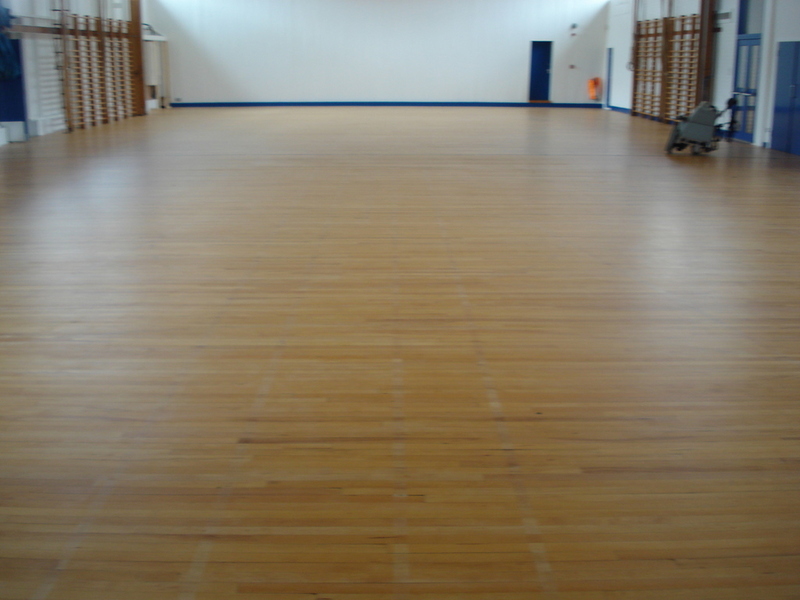 This Maple Wood Buff Colour Granwood floor was restored in Wolverhampton, Birmingham. 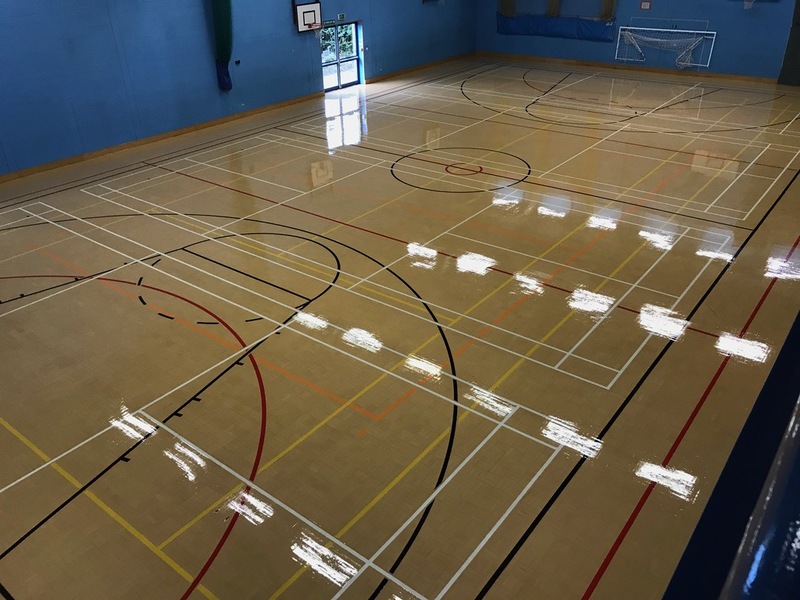 It was Cleaned / Scrubbed and Abraded, then Sealed with 2 coats of ‘Floortech Products – Sportguard’ a solvent based moisture cured polyurethane commercial grade floor seal conforming to EN BS 14904 Slip resistance for indoor sports play. 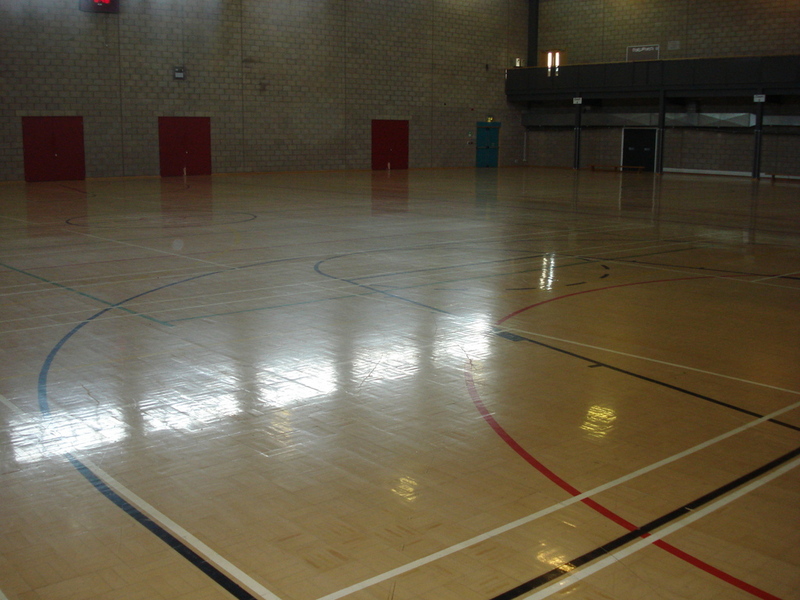 The second/final coat was applied the following day/ day 2. 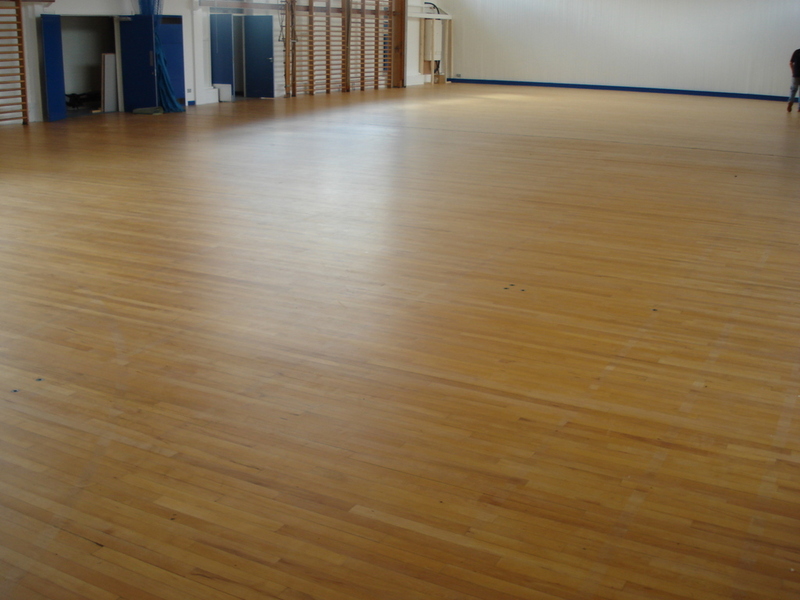 As it wasn’t sanded there was no dust, no material removed from the floor and only took 2 days to complete. 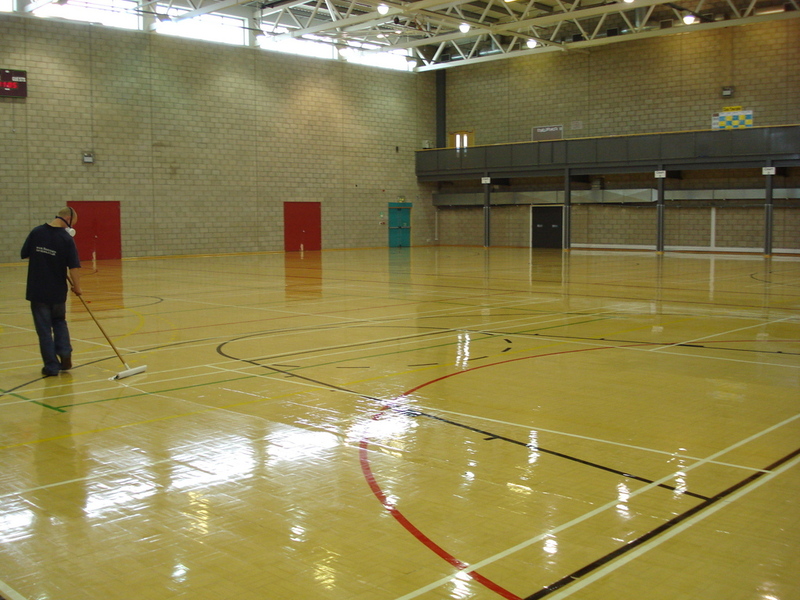 485 sqm of ( Granwood ) Composite Block Tile Sports Hall Flooring, Chemical Stripping, Cleaning, Scrubbing, Abrading and Re-sealing by Floorcare Services. 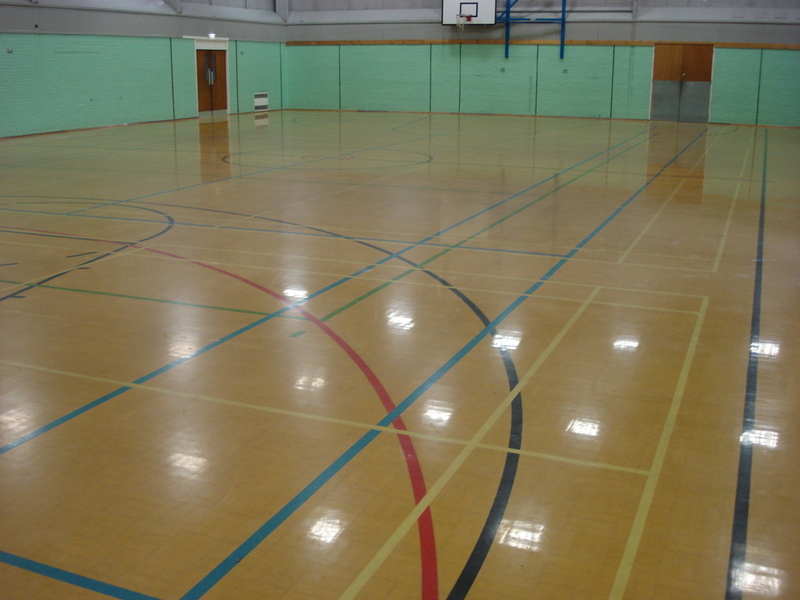 This Maple Wood Buff Colour Granwood floor was restored in Rotherham, Sheffield. 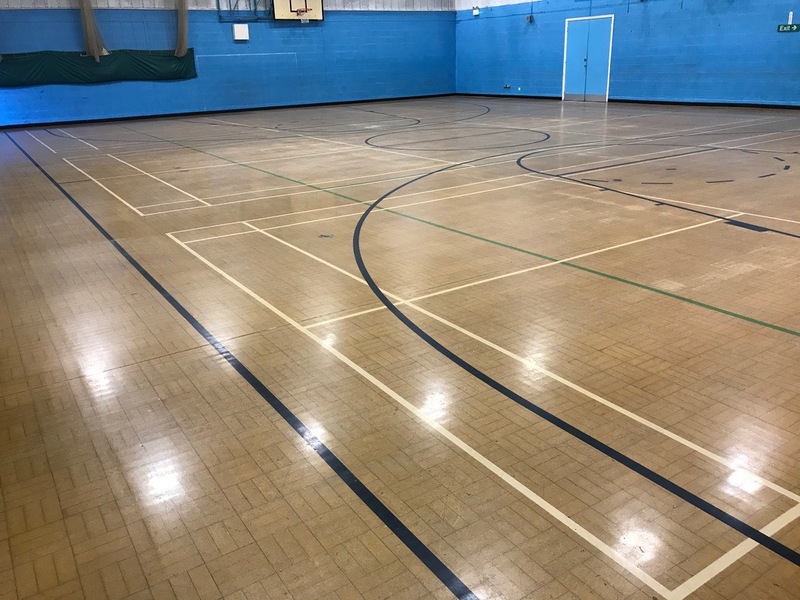 It was Cleaned / Scrubbed and Abraded, then Sealed with 2 coats of ‘Floortech Products – Sportguard’ a solvent based moisture cured polyurethane commercial grade floor seal conforming to EN BS 14904 Slip resistance for indoor sports play. 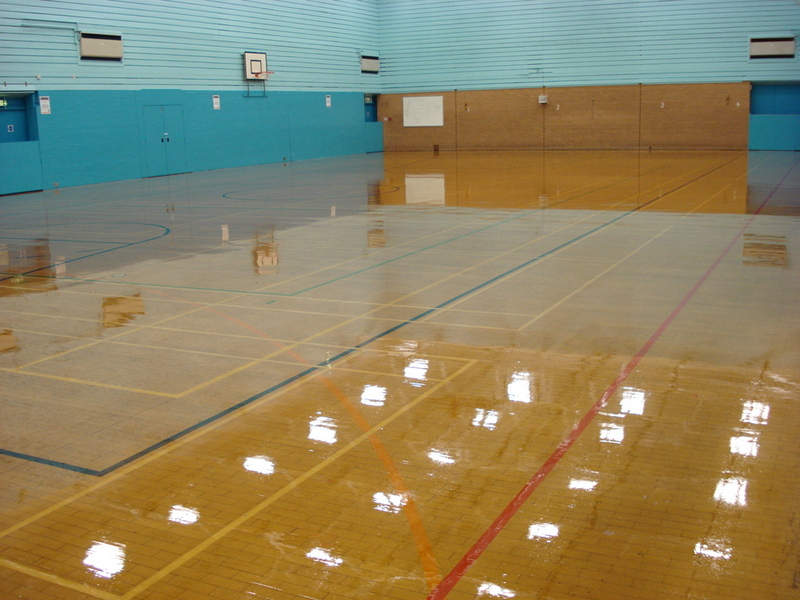 The second/final coat was applied the following day/ day 2. As it wasn’t sanded there was no dust, no material removed from the floor and only took 2 days to complete. 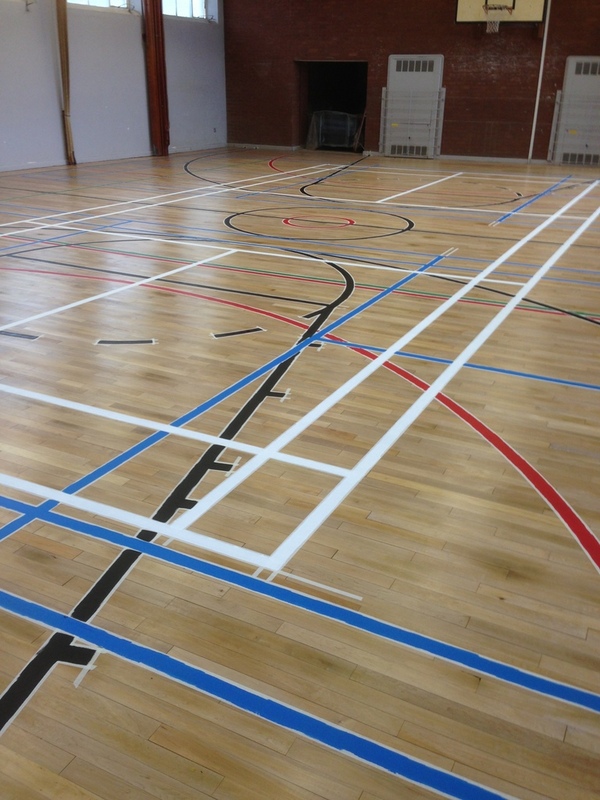 Granwood Floor Sanding, 295 sqm of Composite Block ( Granwood ) Flooring, Sanded, Line / Court Marked & Sealed by Floorcare Services. 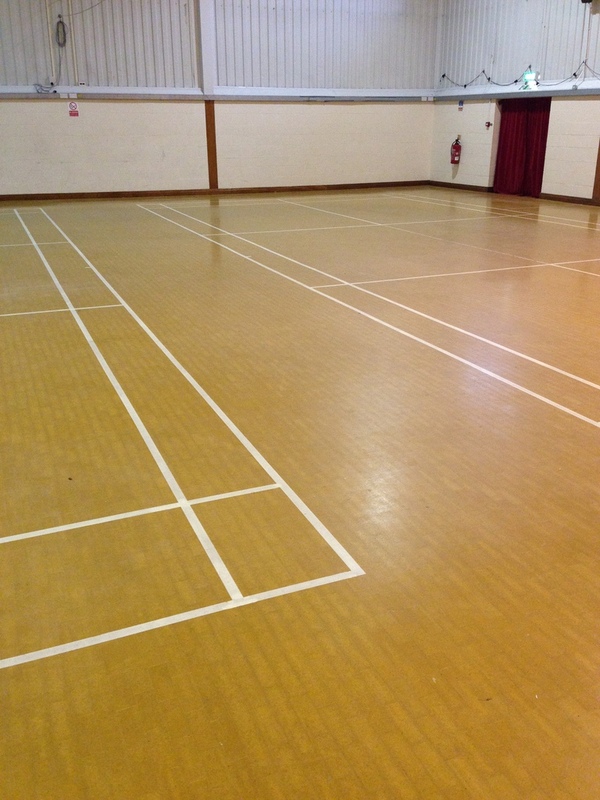 This Maple Wood buff colour, Composite Block Granwood floor was sanded at Airmyn Memorial Hall, Airmyn, Goole. 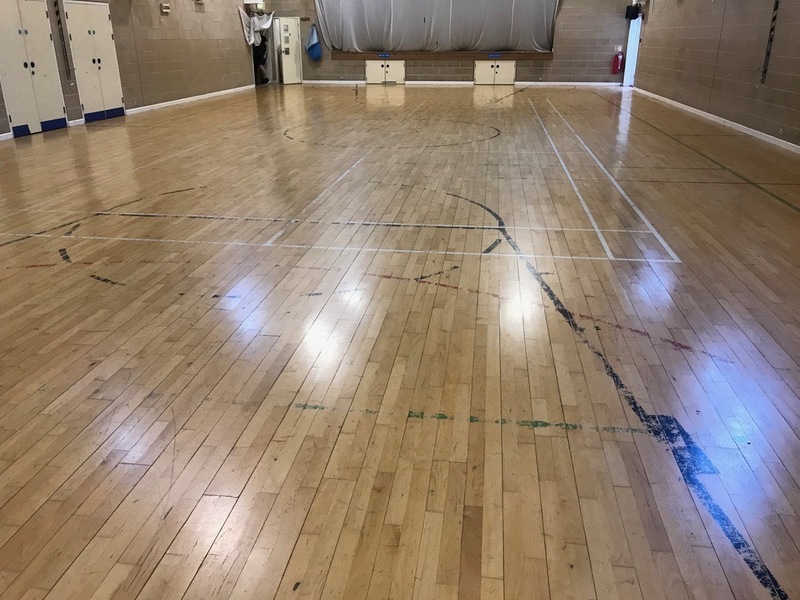 It was sanded back to bare wood and Sealed with 3 coats of ‘Floortech Products – Sportguard’ a solvent based moisture cured polyurethane commercial grade floor seal conforming to EN BS 14904 Slip resistance for indoor sports play. 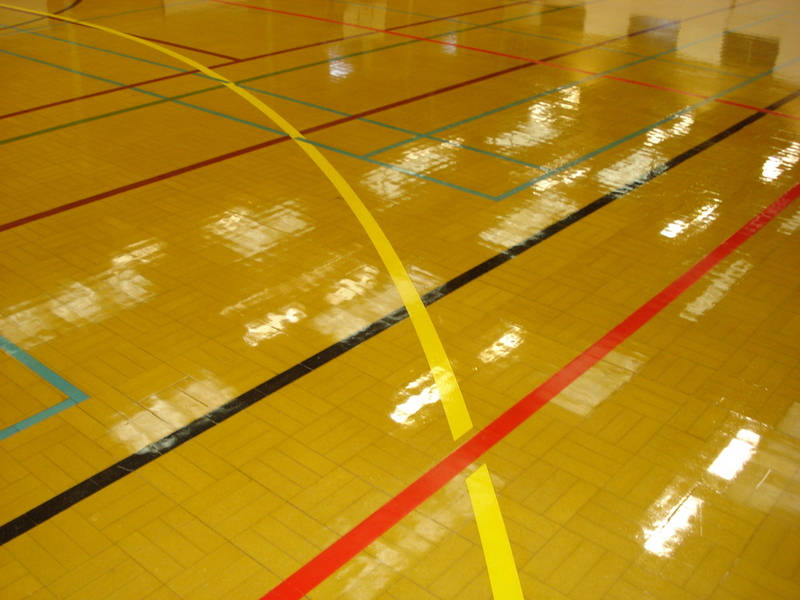 We sanded the floor removing previous finish / seal / varnish, wear marks, scratches etc. 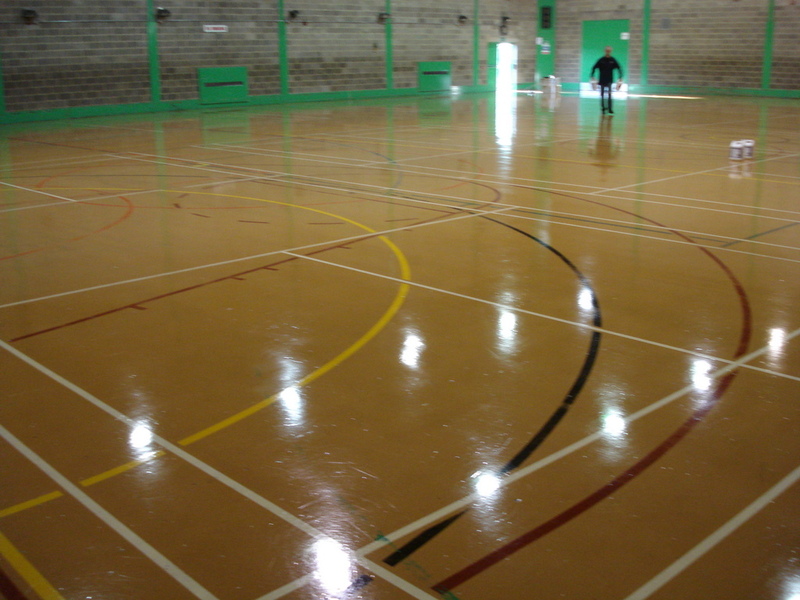 and applied coat 1 of ‘Sportguard’. 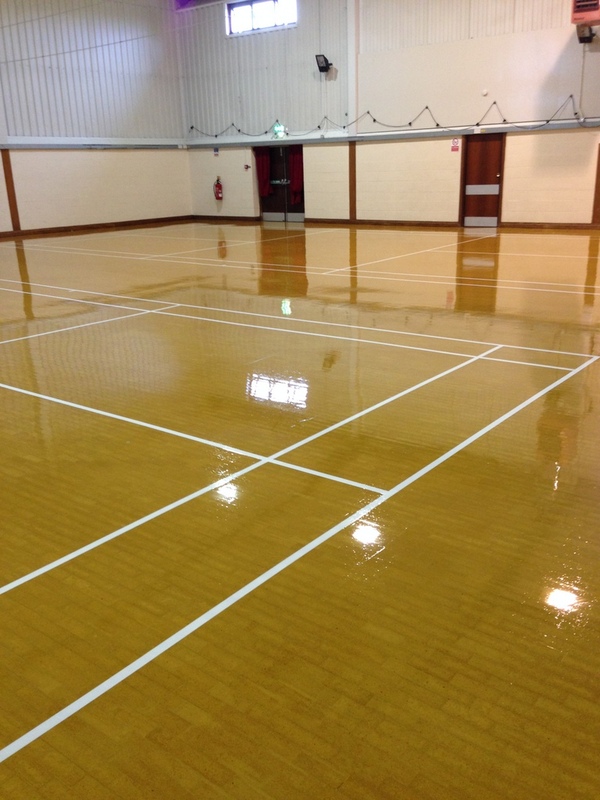 Then 2 regulation size Badminton courts were applied using white ‘Floortech Products – Sports line marking paint’, Then sealed with 2 further coats of ‘Sportguard’ seal to protect the lines. 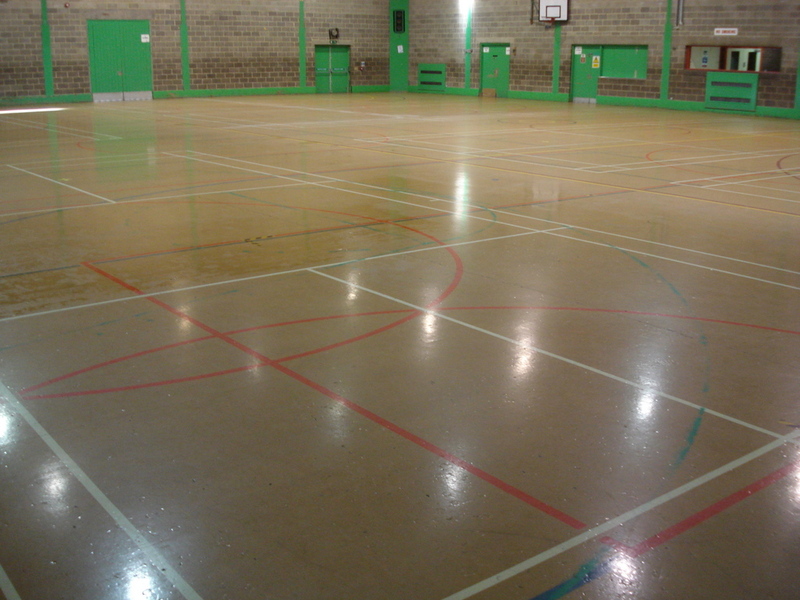 This Sports Hall Floor was Sanded, Sealed & Court marked in a total of 5 days only.